As we think through innovation, do we every consider the broader global effects and what is helping us to accelerate or seemingly holding us back in our innovating impact? One report I have attempted to absorb is the one released in January 2016 by the Information Technology & Innovation Foundation (ITIF). “Contributors and Detractors: Ranking Countries’ Impact on Global Innovation”. This report offers a number of alternatives to give fresh perspective, a new slant to thinking through innovation and sometimes the “knock-on effect” of isolated thinking can have about innovation in a globally connected world. The search for an “altruistic effect” in our global world offers some interesting fresh perspective for appreciating innovation policy design. This report assesses 56 countries on how their economic and trade policies contribute to and detract from innovation globally. It can alter thinking in my opinion in a globally connected world where innovation can have such impact if coordinated well. 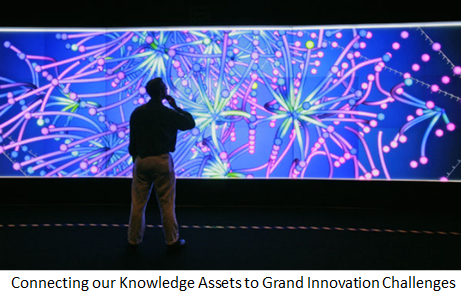 We need to connect our knowledge and put these assets into solving ‘grand challenges.’ Lets focus on the bigger picture here. Developing our knowledge and then putting it to good use gives us the potential for securing a competitive position- that goes without saying, perhaps. Living in Europe offers us enormous history, diversity and a constant respect for the make-up of its different cultures. Europe is a very proud continent forged from this history of competitiveness but it is grappling with its place in the global world where others seem to have greater present day advantage. The beginning of a new era for innovation, truly global. Braden Kelley wrote an article entitled “Is the era of Innovation Over?” ( http://bit.ly/h9FCr6) which I would like to build upon. Braden is the author of “Stoking Your Innovation Bonfire” from John Wiley & Sons and is also the editor of Blogging Innovation (http://bit.ly/d2c9aW ). Braden picked up on an article lamenting the seemingly poor state of Canada’s innovation efforts (http://bit.ly/fdLeI5 ) with the view that “Innovation is literally hitting a wall”. Braden has also commented about the recent US approach to resolving their innovation approach and believes it is limited in its understanding and appreciation of innovation. Here in Europe we are certainly going through the same crisis of confidence with innovation, it is not producing the wealth and growth expected and needed to fuel our economies. The EU commissioner for innovation, Máire Geoghegan- Quinn, the EU’s first innovation commissioner, has started to created a lot of positive energy around some exciting new initiatives but are they enough? My answer is simply no. For a very thoughtful article on the EU and innovation (http://bit.ly/hCZWdO ) published in www.innovationmanagement.se by Ann Mettler, Executive Director of think tank The Lisbon Council and here she gives her take on policy and innovation.